Extraordinary audio capabilities and Dolby Vision support highlight this player, but you pay for it. The boutique audio industry makes a lot of cash providing customers with that last 1- to 10 percent of audio quality. That’s the market Oppo Digital is aiming for with its $1299 UDP-205 4K Ultra-HD Audiophile Blu-ray player. That’s beyond expensive for the average consumer, though in truth, being built to the nines and sounding excellent, it’s easily the best player we’ve tested so far. Update: Oppo has added MQA decoding support to the UDP-205. Existing owners can enable the feature with a firmware update that is available now (the unit needs to be connected to the internet for this). If you’re looking for a svelte, low-profile player, look elsewhere. The UDP-205 is a hefty, double-height piece of A/V equipment (it's 16.8 inches wide, 12.2-inches deep, and 4.8-inches high). Factoring the unit’s hefty 22-pound weight into the buying equation, you have a bargain in terms of price per pound. Okay, that's a stretch, but the size and weight does reflect sturdy construction, super high-grade components, and a lot of room to circulate air. Just take a gander at the picture below. This is most definitely not what you’ll find in most Ultra Blu-Ray players. No wimpy capacitors, resistors, or transformers here. The UDP-205 uses super high-grade and oversized components. We did note that the unit runs very cool, and the optical disc tray is sturdier, quieter, and has a more solid feel than what you find in your run-of-the-mill disc player. Tastes in design vary, but the look of the UDP-205 (see the opening photo) marries well with most prosumer and audiophile equipment. Put another way, it looks as expensive as it is. It works fine, but the remote just doesn’t seem up to par compared with the rest of the UDP-205. The UDP-205’s on-screen interface is easy to use and easy on the eye. Options are logically laid out, and the GUI generally gets you where you want to go quickly. 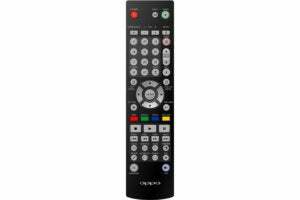 The remote, on the other hand, is a rather massive affair with a lot of buttons. In actual use, it’s not bad at all, and sports a motion-sensitive backlight (all buttons) so it’s probably disingenuous of us to complain about it. But it just doesn’t seem to 100-percent jive with the quality or style of the rest of the unit. Especially, a $1299 unit. Then again, hefty unit, hefty remote. There is symmetry. Before we say a word about ports, take a long gaze at the rear panel of the UDP-205 shown below. Click on the image and enlarge it. The UDP-205 has I/O up the wazoo. Impressive, eh? Analog audio fans will certainly appreciate the UDP-205’s balanced XLR outputs, as well as its standard RCA analog stereo outputs and eight RCA outputs that provide true 7.1 analog out. True, the sound comes off the disc or USB device in digital form, but some argue that tagging analog on the end of the output chain delivers a warmer sound. We’re not complaining. 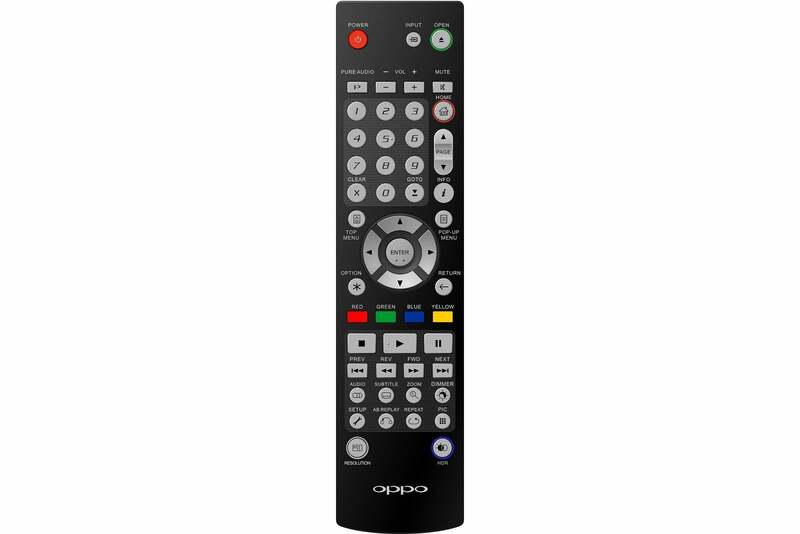 As far as digital audio is concerned, there are three USB ports (one on the front) for playing back audio, video, and image files (you can play music while viewing photos) from USB media, one HDMI 2.0a and one HDMI 1.4 output (for older receivers), coax and optical digital outputs, as well as coax, optical, and USB input. The latter is for playback from DACs or other USB audio interfaces. Obviously, the HDMI outputs can be used for video as well, though only the 2.0a port with its HDCP 2.2 will handle 4K UHD content. There’s also an HDMI 2.0a input for passing through input from another player or streaming device. Rounding out the ports are RS-232C, IR, and trigger I/O for system integration. Networking is available both via gigabit ethernet and 802.11ac Wi-Fi. You’ll want to network the unit to obtain firmware updates. Most Ultra HD Blu-ray players do a more than passable job of rendering video, at least the with discs they’re largely designed for. The UD-205 supports both HDR-10 and Dolby Vision, which puts it one up on most of the current competition that supports only HDR-10. It rendered both the aforementioned flavors of 2160p (Ultra HD Blu-ray/4K UHD) HDR very well, as well as content from DVDs and 1080p Blu-ray discs. It was also quite quick to enumerate discs, i.e., it gets you to the title screen in short order. The unit aced our video file compatibility tests, playing all the h.264, and h.265 files we threw at it, regardless of the container or frame rate. 23.97, 60, 59.96 frames per second, no problem. The UDP-205 is the first player we’ve tested that didn’t choke on at least one file. Nice. Where we did hit a small snag was with HDR-10 files played from a USB drive outputting to a TCL P-series TV. They played, but they weren’t rendered as HDR, only SDR material. As the UDP-205 did just fine with a Samsung Q9F, we’ll lay this one at the feel of an immature technology, or possibly the TCL P-series. On the audio side, the UDP-205 supports SACD and DVD-Audio discs as well as the more common CD. As this is a very pricey unit intended for the prosumer contingent, we tested audio both through a couple of TVs and some top-notch audio equipment. The digital audio is as good as we’ve heard from any player we’ve tested. The 32-bit ESS Sabre Pro ES9038PRO DAC is really quite good, and the sound was at least the equal of the Focusrite Solo USB audio interfaces we also used for testing. On the analog side, we didn’t have the equipment to test the surround, but the audio from the balanced XLRs and stereo RCA jacks was stellar. Then again, so is the analog audio from the Focusrite. Keep in mind that both of these units sound that's noticeably better than output from the average computer, as well as the output from most consumer-grade audio equipment. When it came to playing back files from a USB drive, we were a tiny bit disappointed that the UDP-205 didn’t handle Windows Lossless, though the format has largely been supplanted by FLAC. It also mis-stepped on 64kHz/24-bit and 96kHs/32-bit files. The former you’ll rarely see, but we do see the latter produced by many DAWs (digital audio workstations for recording applications). The only other small issue was that it wouldn’t play DST-compressed .DFF (DSD) files, another rare file type, though becoming less so. Note that according to Oppo, 2.8MHz DSD 64 is rendered directly, while DSD 128 will be converted to PCM for output. On the exceedingly bright side, everything the UDP-205 plays--and that’s all the most common formats, including MP3, FLAC, APE, OGG, and Apple compressed and lossless--sounds fantastic. We love the UDP-205. It’s built like a tank with super high-grade components, and it performs marvelously. The interface, video, and especially the audio, are top-notch. To be blunt, of all the players we’ve tested, this is the one we’d like to keep. 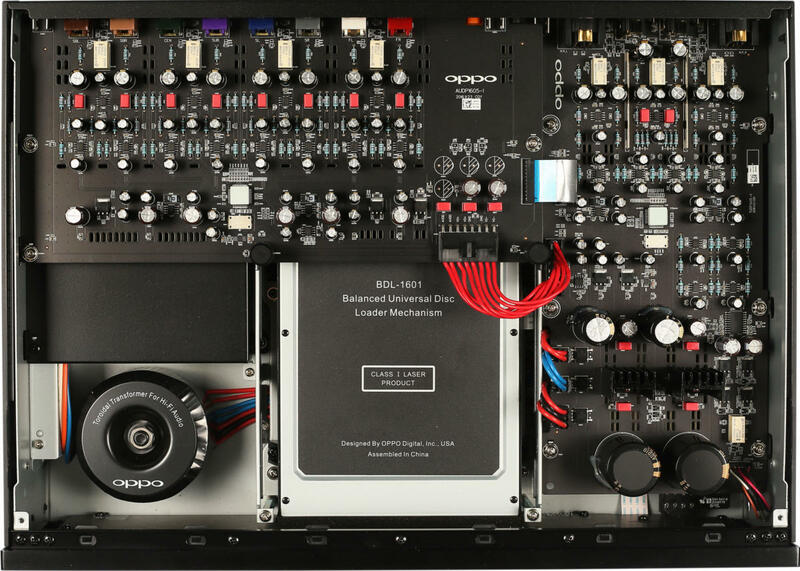 If you’re into super high-end (and expensive) A/V equipment, the Oppo Digital UDP-205 will fit into your world nicely. Nicely indeed. But $1299 is a lot of money for those last couple of percent of quality that you may not even be able to see, hear, or care about. If the rest of your equipment isn’t audiophile and analog, there’s little point; the average consumer should look to Samsung, Panasonic, or even Microsoft’s XBox and save a bundle. There is no better Ultra Blu-ray player on the market, especially when it comes to audio. It's not for the average user, but audiophiles, especially those seeking high-quality analog output, will appreciate the high-performance components and analog 7.1 surround output.